After the bustle of Thanksgiving, Black Friday, and now Cyber Monday we hope you can take some time to participate in #GivingTuesday. Giving Tuesday is an opportunity to reflect and give – whether it’s your time, a donation, a gift, or your voice in your local community. 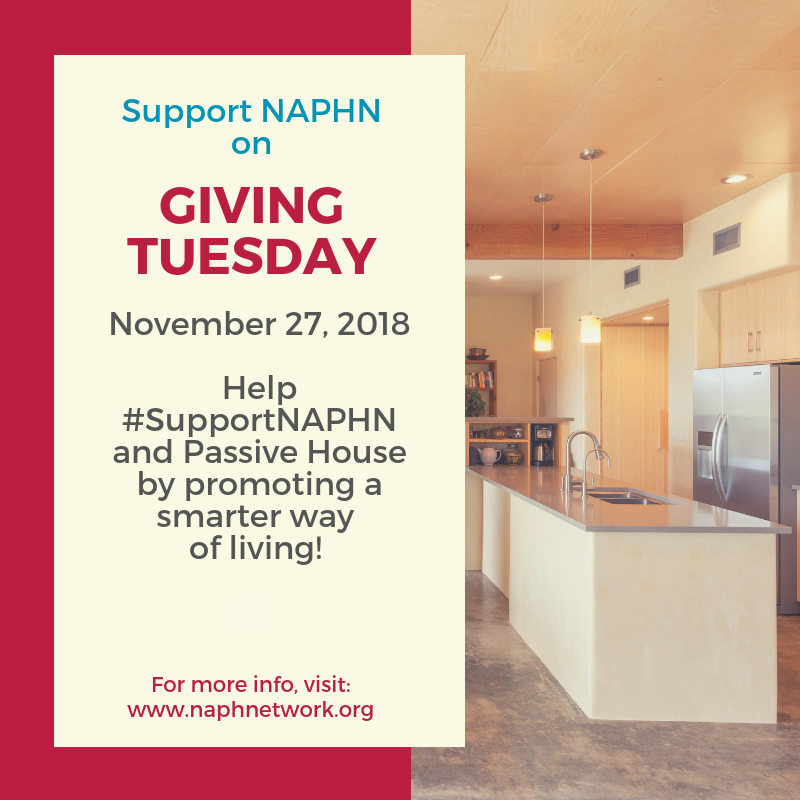 This year help support NAPHN and Passive House standards to promote a smarter way of living. At NAPHN we envision a sustainable, post-carbon, all-renewable energy future by transforming the built environment through Passive House standards to combat climate change. Therefore, Passive House buildings are efficient, comfortable, affordable, resilient, and healthy. Your gift will help NAPHN build healthier environments all over the world, donate right here on the homepage. If you have any questions about what makes your support so crucial, kindly reach out to us here. Help us achieve our vision and join the movement this Tuesday, November 27, 2018! This entry was posted in Featured and tagged donation, giving Tuesday, non profit, support.